I’ve been blessed with some amazing influences….men and women. Lately I’ve been working on organizing photos and memories from my grandparents. I am extremely fortunate that they kept so many memories because I treasure each and every one of them. It’s actually been quite therapeutic as well. I’ve shed quite a few tears seeing pictures I’ve never seen before. So many happy that moments were captured long ago for us to treasure today. I’ve found photos of my grandpa who I loved dearly and miss so much. Photos of him I’ve seen and many I’ve never seen. I wish now, of course, that I had sat down with him before he left to ask him so many questions. To just listen to his stories. Oh, his stories were the best. I’ve heard his dad’s stories were even better. I can sit and listen to my uncle for days because he reminds me of him so much. Oh, how I miss the days he was around. And then I really shed the tears. 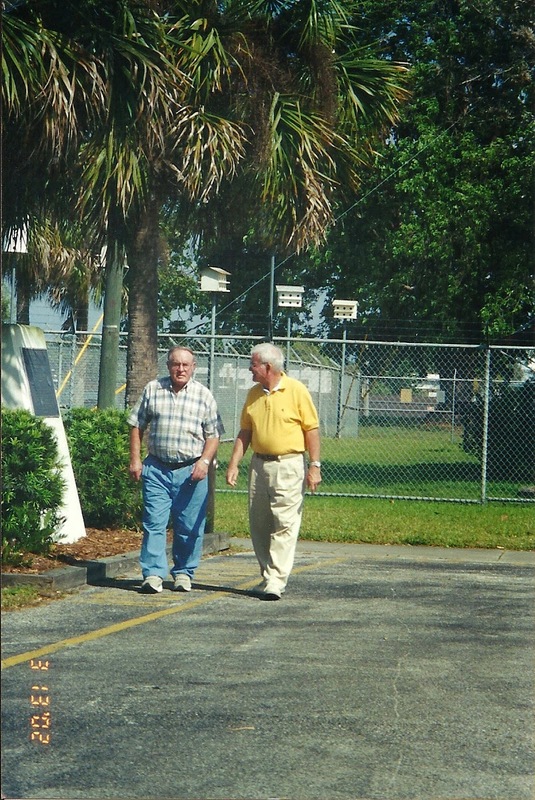 This photo has two of the most influential and kindest men I’ve ever known. One who always made me feel special despite the fact that he had tons of other grandchildren and another who told me I was one of his own even though I wasn’t. Two men who taught their children and families the importance of family and working hard. Two men who left behind legacies we are forever grateful for. Two men who I called Grandpa and Pappaw. Two men who had the most caring and understanding voice and demeanor I will ever know. Two men that I always hoped my someday children would meet. Two men who had characteristics that I hope someday my husband will have. Two men who taught me what it means to love yourself, your family, and most of all the Lord. Two men who could talk farming for hours. Two men who basically broke the mold. They just don’t make them like that anymore. Two men who I miss so much. It was hard in 2007 and it seems just as difficult, if not more difficult now. I can’t understand why they’re gone and I can’t figure out who I will go to for that feeling of a grandfather. I know I was blessed beyond measure to have had an amazing grandfather and one who always acted like one for so many years. I miss them both and hope they’re having one heck of a celebration with my mom.